High Moon Dog: How Does My Garden Grow? Quite Contrary! 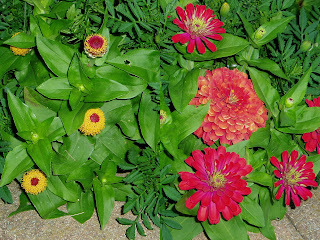 I did a 2 in 1 shot here showing my zinnias. 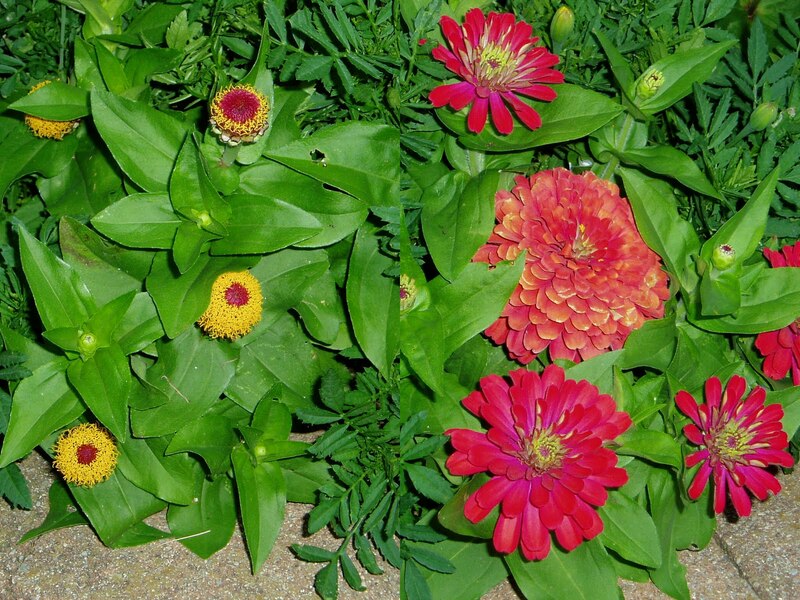 The one on the left doesn't have any petals. Both were volunteers that grew from seeds from last year's plants. I've never seen this mutation before.